You can directly use your Dropbox, Google Drive, One Drive or Box files as comments and reference material in Nozbe. 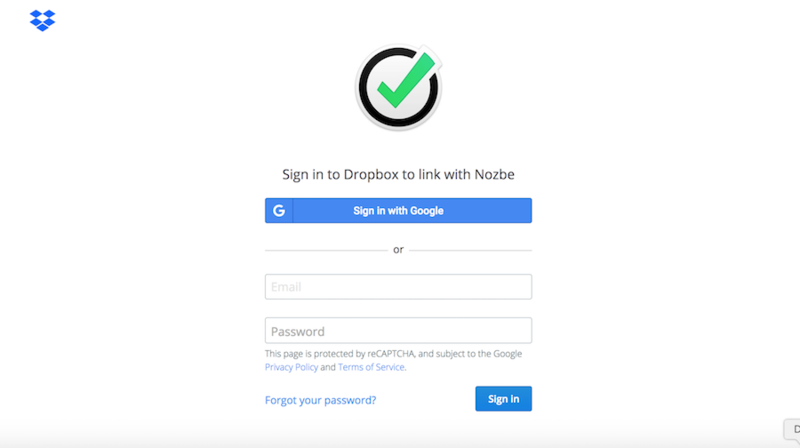 To take advantage of this feature, you need first connect Nozbe to your Dropbox account. Go to the “Settings” of your Nozbe account and choose the “Integrations” tab. Choose no.3 and follow the instructions. Select the account you want to sync, the private (1) or the business (2) one or just choose “allow” to confirm, when you have one Dropbox account. or click “Add comment” in the comment field. Please note that before you click “Save” you can also comment on the file right there and then… simply click on the comment line of the selected file, write what you wish to and “Save” afterward.